Connie Kinnard is the Senior Vice President of Multicultural Sales & Development for the Nashville Convention & Visitors Bureau. Connie’s career has evolved with the NCVB for 13 years where she heads the organizations increased efforts in marketing and securing large multicultural conventions. Her responsibilities also include creating multicultural marketing programs involving special events, product development, membership and general diversity marketing for the city. 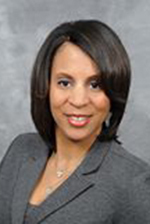 Specifically regarding product development, she is very involved with the forthcoming Museum of African American Music, Art & Culture and served administratively as the foundation’s chief operating officer respectively from 2003-2008. Current Board and Advisory Council designations & Achievements - National Coalition of Black Meeting Planners Board, Nashville City Club Board of Directors, African American History Foundation of Nashville Inc., Leadership Middle TN Board, the R.H. Boyd Leadership Society(United Way). Connie is a 2007 graduate of the University Phoenix with a Masters in Management degree. Kinnard has been featured in Culture Magazine and also recognized in Black Meetings & Tourism in their story on “The Next Black CVB CEO/President”. Most recently she received the 2008 Nashville Emerging Leader Award (NELA) in hospitality category which is sponsored annually by the Nashville Area Chamber of Commerce and the 20/20 Leadership Alliance. She is currently in the 2009 Nashville Emerging Leaders – Leadership Development class. Kinnard’s other civic and professional affiliations include Alpha Kappa Alpha Sorority, Inc., African American Travel Conference, International Association of Hispanic Meeting Professionals, Religious Conference Management Association, Association of African American Museums, NAACP, and Urban League of Middle TN. Before coming to the Nashville CVB, Kinnard started in the hospitality industry as an assistant manager for Hardees Restaurant. After graduation from Tennessee State University, Kinnard landed a job as director of sales for Days Inn and Ramada Limited Downtown Nashville. She then transferred to Kentucky where she worked as sales manager for the Ramada Resort & Conference Center in Owensboro, Kentucky.